Our ExpatCapeTown guide to South Africa Flights shall provide you with all the information you will need to be well prepared for your travels in South Africa. South Africa is a big country and many places, expats need to go to and work in, are located far away from the major airports. Expats from all over the world live in Cape Town, however many travel to far away or more remote places within this beautiful country on a regular basis. Flight times are very short, compared to the strenuous travels by car one would need to take to these locations. For example, flight times for a Cape Town - Upington flight are 1.5 hours while a drive by car would easily take more than 10 hours. Towns like Lephalale in Limpopo, where the new Medupi power plant is currently being built, attract many expat workers similar to Upington or Kimberley in the Northern Cape, where numerous solar plants are constructed by international co-operations. These destinations are best reached by plane and thus some smaller airlines have currently included some of the most busy places in remote areas into their regular flight schedule. There are several South African air carriers operating the route of the two-hours-flights from Johannesburg to Cape Town and you will have the choice of around 60 regular scheduled flights daily between these two major South African cities. The major domestic airports are located in Cape Town, Durban (King Shaka International) and Johannesburg (OR Tambo International as well as Lanseria). Nelspruit, Polokwane, East London, Port Elizabeth, George, Bloemfontein, Upington and Kimberly are also among the airports with regular flights with most domestic carriers. However, there are many more smaller airports which are served by private charter airlines to serve business travellers to the region and tourists who want to explore more remote locations. These airlines serve the domestic market in South Africa: South African Airlines (SAA), the national air carrier and Mango with its bright orange airplanes. Mango is the low-cost airline of SAA. South African Express and Airlink also serve the major airports. Then there are the low-cost airlines Kulula (with bright green air fleet) and the newer Fly Safair, which only started operating on the South African market in 2014 and Skywise, who only operates between Cape Town and Johannesburg since 2013. British Airways, operated by Comair, also serves the major tourist destinations. Fly Zenith, Majestic Air and Execujet are among the biggest private air charter services in South Africa who also cover smaller and rural airports. The flight schedules of the smaller jet charter and air taxi service companies include much less traveled locations such as Kuruman and Sishen in the Northern Cape. How much cost domestic South Africa flights? Check out Majestic Air for your South Africa flights. This small company has grown tremendously over the last years and currently serves the many routes in South Africa with regular flights. They also provide ground transport and shuttle services from and to remote airports. Subscribe to the newsletters of South African airlines to get information on the latest specials and discounts. Remember that the no frills airlines do not include meals and refreshments in the ticket price, but you will be able to buy packets of chips, sandwiches, coffee, tea and soft drinks from the cabin crew. The Airports company advised that you should be at the check-in at least 90 mins before your domestic departure. Some of the remote airports are very small, so it's best to arrange your airport transfer before the flights. Charter airlines will be able to advise and organise transport for you. Not all domestic airports allow to take fluids over 100ml through the check-in. Don't be tempted to buy fluids/water before going through the luggage-check points. 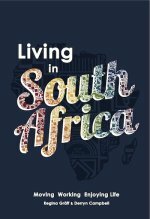 296-pages print version available at South African bookstores, on takealot.com, or amazon.com or as always directly from us.